Once New Year’s celebrations are over, it’s time to get ready for one of the best events in all of Louisiana – Mardi Gras! Time to practice those phrases, “Throw me somethin’ Mister” (well known as the proper expression to beg for beads as the floats pass) and “Laissez les bon temps rouler” (a Cajun French expression meaning “Let the Good Times Roll!”). Baton Rouge has a Mardi Gras celebration, as does New Orleans and Lafayette. 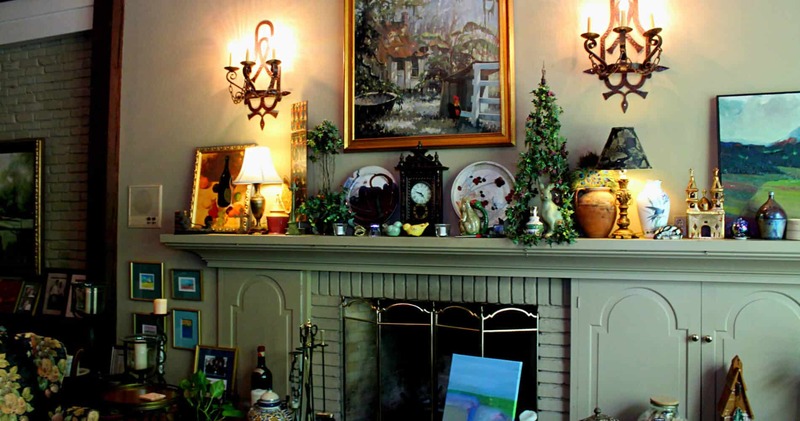 Each of these cities is about an hour’s drive from Baton Rouge, therefore, the best place to stay during the Mardi Gras season is The Stockade Bed and Breakfast in Baton Rouge. Book your stay now and plan to spend enough time to get the most out of this unique experience. The celebration of Mardi Gras in North America is believed to have begun in 1699 in Plaquemines Parish near the mouth of the Mississippi River. A few years later, French soldiers and settlers adorned themselves with masks and celebrated with great feasts in present day Mobile, Alabama. That city claims to have the oldest annual Mardi Gras celebration in the United States. New Orleans first celebrated Mardi Gras in 1718, however, the first recorded parade didn’t occur until 1837. In 1872 the Krewe of Rex and the Knights of Momus began holding Mardi Gras balls and hosting parades. There are many names which are synonymous with Mardi Gras. The entire season is actually called “Carnival”. Mardi Gras Day is not only referred to as “Mardi Gras” but also “Fat Tuesday”, meaning a day where people can eat what they want and as much as they want, because a long-time of fasting for Christians begins with Lent the next day. When does Carnival season begin? 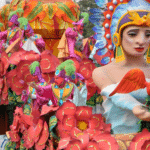 Carnival season begins much earlier than Mardi Gras day. In Louisiana, it begins on January 6th, a Christian holiday known as Epiphany, Three Kings Day or the Twelfth Day of Christmas. This is the time when grand, private Mardi Gras Balls are held. Many smaller parades take place from Epiphany all through Carnival season leading up to Mardi Gras day. As Mardi Gras day draws near, the parades get larger and larger. In New Orleans, the main part of the celebration occurs from the Thursday before Mardi Gras Day until Mardi Gras Day itself, where parades run back-to-back all over New Orleans and in surrounding areas. The revelries last until midnight of Fat Tuesday, when Ash Wednesday ushers in 40 days of Lent. Mardi Gras Krewes are responsible for hosting balls and parades. Some Krewes have been hosting parades and balls for many years, however, new Krewes are formed from time to time. Most are named after Greek or Roman mythology and each has a King and/or Queen. The parades are typically kicked off with the Krewe leader, then the king or queen, followed by the maids and dukes and finally, the Krewe members. Is Mardi Gras ever cancelled? Mardi Gras can occasionally be cancelled or scaled down, as it was during the Civil War, World War I and World War II, during the 1870’s yellow fever outbreak, and after Hurricane Katrina. The 2013 parades were interrupted by the Super Bowl. The expression “Super Gras” arose out of that particular interruption. It’s actually illegal to NOT wear a mask or paint your face for those riding a float. It is thought that this law was to encourage people to mingle with everyone, even those in different social classes or circles. Mardi Gras has been taking place for centuries, so naturally, there are many traditions and a great deal of trivia associated with the event. 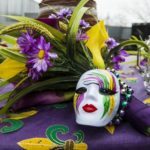 Watch for our next blog on Mardi Gras Trivia (Part II), but don’t wait to reserve your room at The Stockade Bed and Breakfast. Book now! 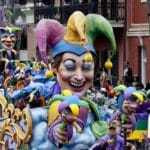 This entry was posted in Events, Festivals, Holidays, Louisiana and tagged Carnival, Fat Tuesday, Mardi Gras by admin. Bookmark the permalink.